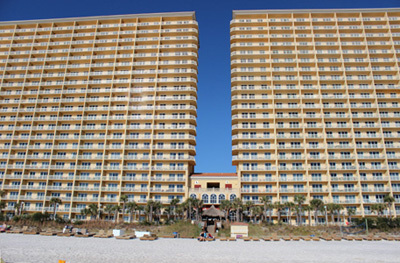 This 20th floor unit in the east tower is high enough to have absolutely spectacular panoramic views of the Gulf of Mexico and the surrounding area. 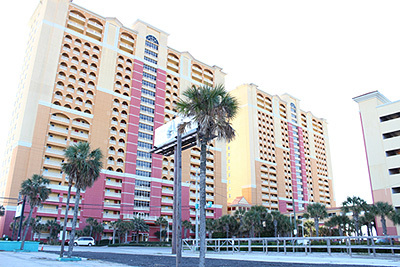 Calypso Condos is an upscale resort with 2 beautiful beachfront swimming pools, fun tiki hut bar, and a great state of the art fitness room. 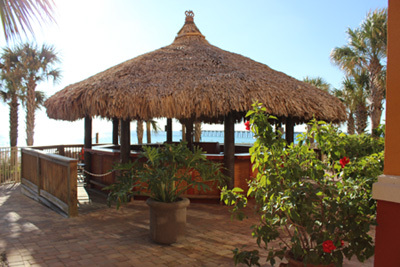 The Tiki Hut Bar is available in peak season. 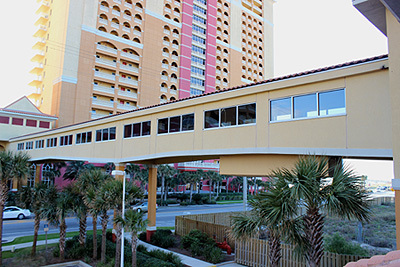 Garage parking with covered skywalk to the building. 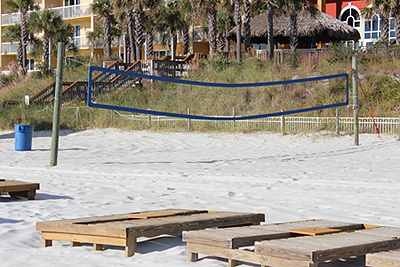 Parasailing, Wave runners, and other water sport rentals can be rented in peak season from the vendor on the beach. Free Wifi available from the unit. 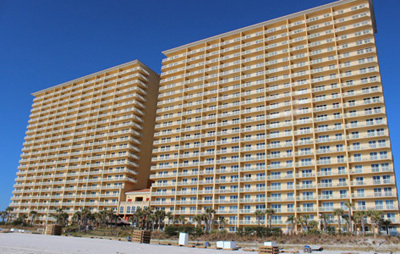 Calypso Resort and Towers is right by Pier Park which offers shopping, restaurants, an Imax Theatre, Emerald Coast Mirror Maze & Laser Craze, and an Amusement park. 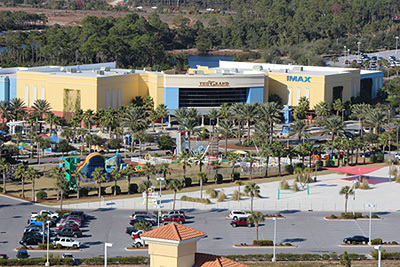 The original Miracle Strip Amusement Park closed for good in 2004, but it has been revived in a much smaller venue and is now operating at Pier Park. 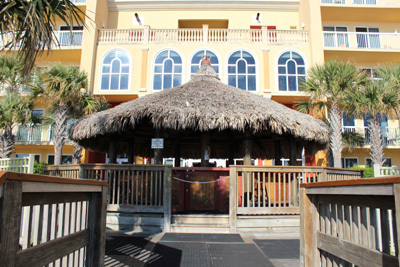 Below are some of the rides and attractions. Rides and Attractions: 1964 Alan Hershel Carousel 1985 Zamperalla Balloon Race 1975 Big Eli Ferris Wheel 1952 Alan Hershel Red Baron Planes 1975 Eli Bridge Scrambler 1991 Selner Tilt-a-Whirl Butterly Pavillion with hundreds of Butterflies. Watch Butterflies emerge from their cocoons! 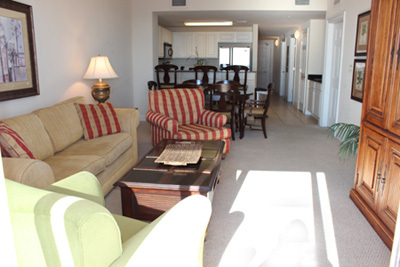 The 3 bedroom, 2 bath condo is beautifully decorated and can sleep up to 8. 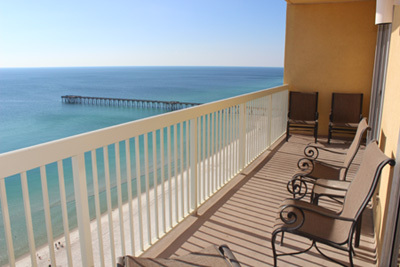 The master bedroom has a wonderful gulf view, a king-size bed, flat panel TV, DVD player, ceiling fan, walk-in closet, and adjoins to the spacious balcony. 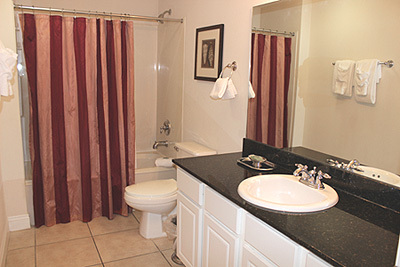 The private master bathroom has a tub/shower combo and a double vanity. 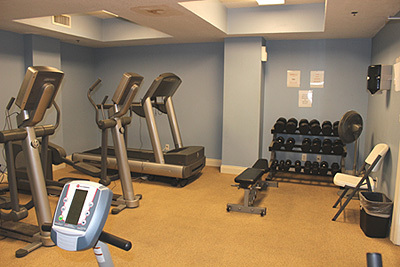 The first guest bedroom has a queen-size bed, flat panel TV, DVD player, clock, ceiling fan, closet, and adjoins to the second bathroom that can also be accessed from the hall as well. This bathroom has a tub/shower combo with a single vanity. 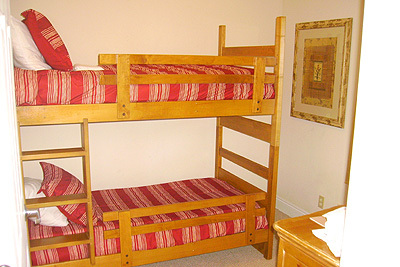 The second guest bedroom has a bunk-bed for two and a ceiling fan. 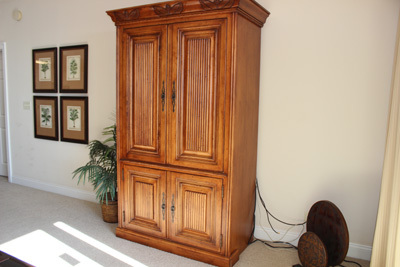 This bedroom has a dresser but no closet, and the bunkroom does not have a TV. 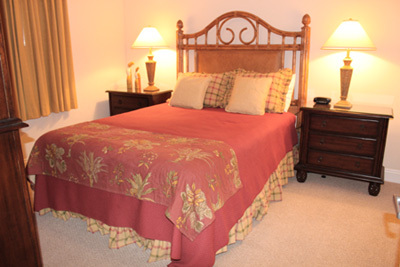 The other two bedrooms have closets and dressers. 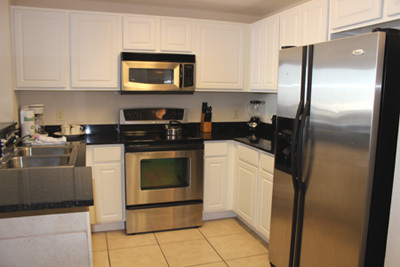 The kitchen has stainless steel appliances - side by side refrigerator/freezer, ceran top stove, microwave, and dishwasher, and is fully equipped with dishware and cookware. 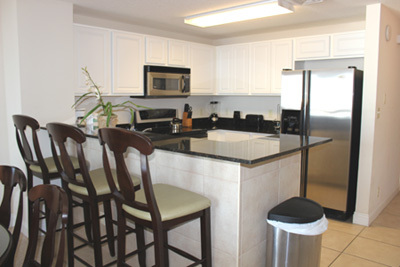 A coffee maker, blender, toaster, and can opener are provided. 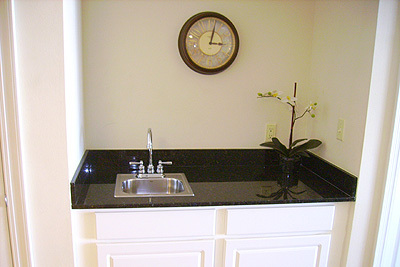 Beautiful granite countertops are in the kitchen and are on the separate counter with wet bar sink that is next to the kitchen. 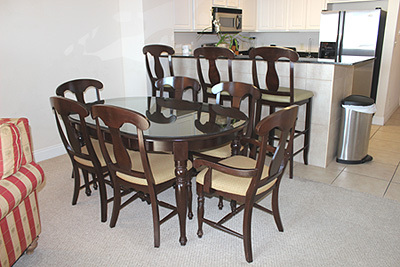 The dining area has a table with six chairs, and the breakfast bar has three chairs. 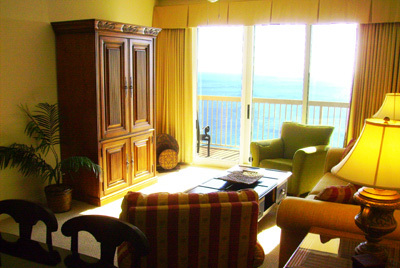 The living room area has wonderful gulf views, flat panel TV and DVD player, Stereo/CD player, 2 chairs, and a queen sleeper sofa. 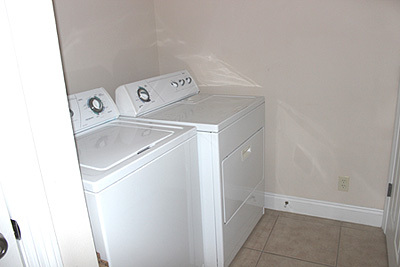 A separate laundry room in the condo has a full-size washer and dryer. 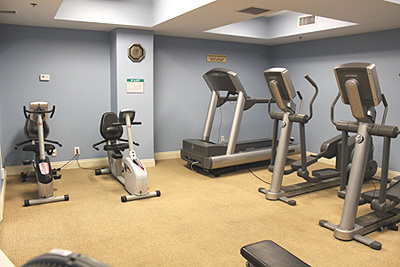 An iron and ironing board are also provided in the unit. 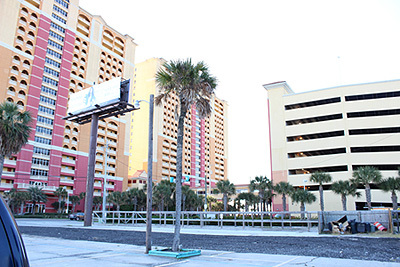 Free parking and covered skywalk to the building. Free Wifi is available for all guests. 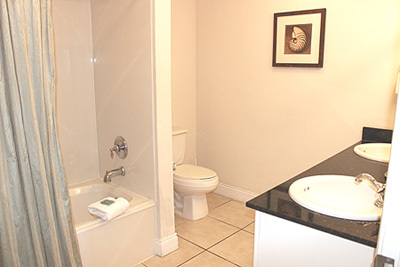 A starter supply of bathroom amenities as well as some household supplies are also provided for each guest use. 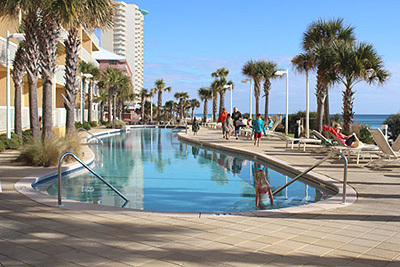 We do not rent to high school or college age groups that are vacationing together whether or not they intend to have a chaperone stay with them. .......................................................................................................................................................... * NOTE: Labor Day weekend is 4-Night Min. 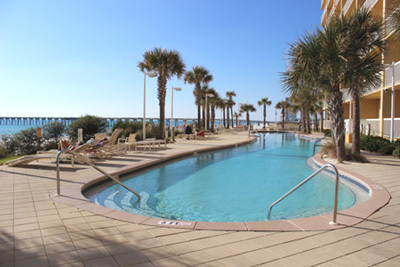 Winter .............................................. Nov 1 to Feb 28, 2020 ..... $110 per night ...... $770/week (3-night min.) 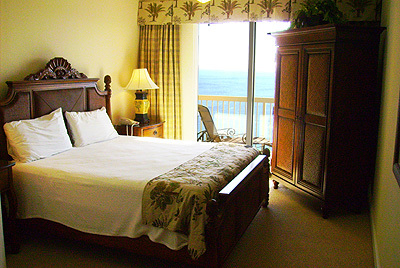 * Major Holidays 4-Night Min. 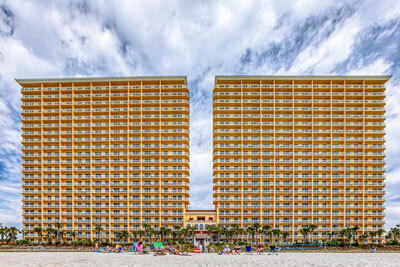 * A minimum age of 25 is required to rent and stay at the property. Children visiting with their parents are welcome. 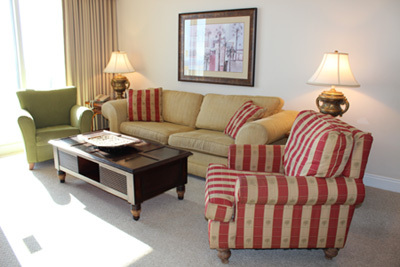 The maximum number of guests that may occupy the unit is eight. 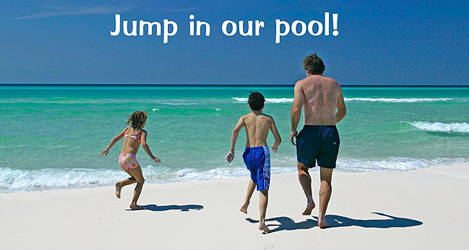 We do not rent to college age groups that are vacationing together, and pets or smoking are not allowed. 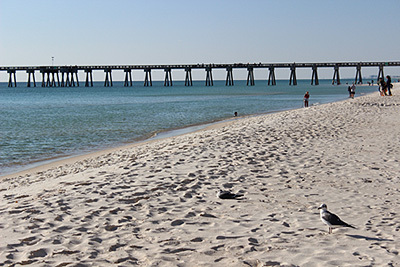 If wanting to stay only 3 nights, an arrival day other than Friday is usually preferred in most seasons unless last minute.